Our geographic footprint covers more than 28,500 miles of highway infrastructure in a high-growth region of the United States. Since our inception in 2001, we have augmented our internal growth with 18 acquisitions of complementary businesses throughout the Southeastern U.S.
Our operating companies are established market leaders in the areas we serve, leveraging standardized best practices, scale advantages, and local market knowledge to deliver excellence in construction products and services to infrastructure projects over a wide geographic footprint. Acquired in 2001 as CPI’s first acquisition, CWR has served public and private customers throughout central and northwest Florida since 1976. CWR is headquartered in Tallahassee, FL. Acquired in 2002, Wiregrass has served public and private customers throughout Alabama since 1965. Wiregrass is headquartered in Dothan, AL. Acquired in 2011, Everett Dykes has served customers throughout middle Georgia and parts of South Carolina since 1968. Everett Dykes is headquartered in Cary, GA.
Acquired in May 2018, The Scruggs Company has served public and private customers throughout Georgia since 1964. 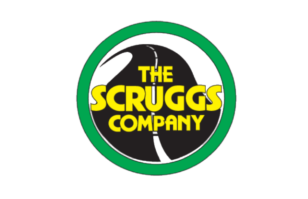 The Scruggs Company is headquartered in Hahira, GA.
Acquired in 2011 and headquartered Raleigh, NC, Fred Smith has served public and private customers in Raleigh and its surrounding areas for over 90 years.